It might be obvious to most bettors but regardless of which odds format you use for a bet, the potential profit will always be the same – it is just how these odds are presented that differs. Fractional odds, unsurprisingly, are displayed as fractions. 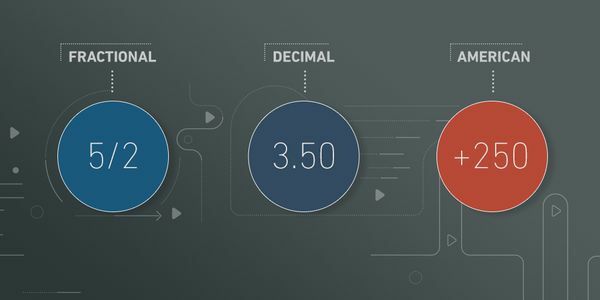 American odds use a unique + and – system and Decimal odds, as you may have guessed, are displayed as decimals – the key difference is that Decimal odds always include the stake. Fractional odds originated within horse racing as a way to represent the return on the underlying probability. They shouldn‘t be confused with ratios. Although 3/1 or “three to one” make it easy for bettors to understand their profit in relation to the stake – your return is three times your stake – the more accurate and precise the odds are, the more complicated things become.